Born into but escaped from slavery, Frederick Douglass—orator, journalist, autobiographer; revolutionary on behalf of a just America—was a towering figure, at once consummately charismatic and flawed. 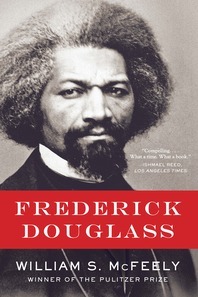 His Narrative of the Life of Frederick Douglass (1845) galvanized the antislavery movement and is one of the truly seminal works of African-American literature. In this Lincoln Prize– winning biography, William S. McFeely captures the many sides of Douglass— his boyhood on the Chesapeake; his self-education; his rebellion and rising expectations; his marriage, affairs, and intense friendships; his bitter defeat and transcendent courage—and re-creates the high drama of a turbulent era.